If you need boiler repair in your Albany, NY home, you can trust the experts at Family Danz to help keep your boiler running both effectively and efficiently this winter. With more than 30 years of experience in boiler repair in the Albany, NY area, Family Danz is qualified to help you make the most of your boiler and keep it running smoothly, season after season. We pride ourselves on providing Albany, NY residents with top-of-the-line boiler repair, and we feel we offer our customers the best workmanship – and the best boilers – available. 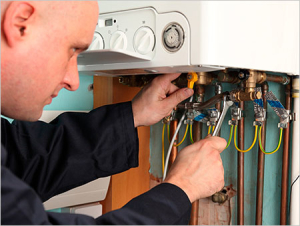 Our skilled technicians have been specially trained to repair any make or model of boiler available. We promise our Albany, NY customers that they will be completely satisfied with our boiler repair services. Call Family Danz at (518) 427-8685 or complete our short form below. We will not share your contact info or spam your inbox. "We’re delighted with your service. Your staff were knowledgeable, on time, efficient and took time to explain all aspects of the job. They even handled arrangements with NationalGrid for a meter upgrade. Thanks again." Count on Family Danz for the best boiler repair in Albany, NY. If you need boiler repair in your Albany, NY home, trust Family Danz. Simply call us at (518) 427-8685, and we will be happy to assist you.